Oh this was hard to Choose! I actually made a list of my favourite books and characters, among which was Ian Malcom from the Jurassic Park books, Mina Harker from Dracula, Mara Jade from the Thrawn Trilogy and Tassellhoff Burrfoot from the Dragonlance Chronicles. I also thought of doing a mock up of a Choose your own Adventure book with Me, but ultimately settled on Elphaba Thropp from Greogory Maguire's wonderful book. 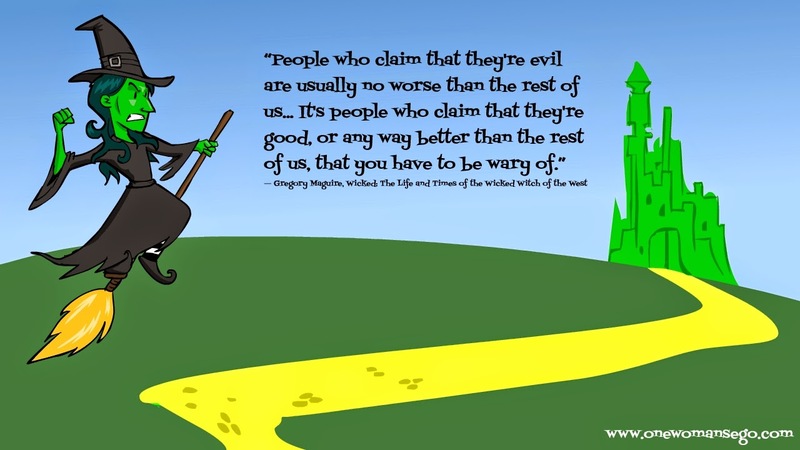 The quote is not Elphaba, but Boq one of the other characters in the novel.